On Saturday 1st December 2012 Cross Country running returns to Sixmilewater Park, Ballyclare for the Annadale Striders’ promoted Malcolm Cup XC event. As with many of our well organized XC events, the day will start with Junior races before moving on to the Ladies and Veteran (+35) Men 3 mile race, ahead of the 4 mile Malcolm Cup race which will complete proceedings. In the Junior races; Christy Conlon (Beechmount Harriers), Desire Bamisile (Willowfield Harriers), Rachel Brown (Ballymena & Antrim AC), Yasmin Wilson (Unattached), Emma Hutchinson (Ballymena & Antrim AC), Conal Mc Cambridge (North Belfast Harriers) and Conor Magee (Beechmount Harriers) will all be hoping for success in their respective events. In the ladies race, competition will be tough and should lead to an exciting race if recent events are anything to go by. North Down AC will be typically well represented, with Jessica Craig, Rachel Gibson, Julie Balmer, Melissa Eccles, Ange Perrott, Stephanie Hambling, Ali Robinson and Debbie Matchett all likely to race. Gladys Ganiel O’Neill (North Belfast Harriers) may opt for a rest this weekend after racing frequently of late, despite having just returned to full fitness. If this proves correct, Jessica Craig will battle with Patricia O’Hagan (St Peter’s AC) at the front. After a successful outing at the Inter Counties XC last weekend, which saw Jessica finish as 5th U-23, she will be confident but Patricia has been continually improving and pushed the North Down AC lady in their last meeting at the same venue. The aforementioned pair should be joined at the front of the field by Katherine Whoriskey (City of Derry AC), Claire Connor (North Belfast Harriers) and Rachel Gibson (North Down AC), all of whom will be vying for the final podium place. Julie Balmer (North Down AC), Eva Laverty (Lagan Valley AC), Judi Graham (North Belfast Harriers), Hazel Mc Laughlin (Lagan Valley AC), Geraldine Quigley (Larne AC) and Shileen O’Kane (Lagan Valley AC) should all be in contention for a top ten finish, as should Lyndsay Haggan (Larne AC), Jackie Mc Ginley (City of Derry AC) and Anne Sandford (Lagan Valley AC). The +35 Veteran Men will race over the same 3 mile course as the ladies, we expect David Morwood (Annadale Striders), Alan O’Hara (North Belfast Harriers), Declan Reed (City of Derry AC) and Francis Marsh (North Down AC) to head the field if they race. Annadale Striders’ duo Paul Carroll and Mark Wright will also be there or there abouts, with Neil Carty (North Belfast Harriers), Barry Atkinson (East Down AC) and Larne AC runners; Nat Glenn, Greg Lavery, Craig Hutchinson and Mark Mc Manus not far behind. Gary Keenan (Orangegrove AC), Damien Mc Ginty (City of Derry AC), Greg Mc Clure (North Belfast Harriers) and Ballymena Runners’ trio Noel Connor, James Turtle and Ray Curran will rank well in their respective age categories should they attend. The Senior Men’s 4 mile race will be a competitive affair and should include leading runners’ Niall Robinson (North Down AC), Jarlath Falls (Ballymena & Antrim AC), Brendan Teer (East Down AC), Declan Reed (City of Derry AC), Owen Carleton (Annadale Striders) and Ryan Mc Dermott (Annadale Striders). All six men performed well at the Inter County XC event in County Meath last weekend and should be on a high going into this race, let’s just hope that the heavy under foot conditions from that race aren’t still affecting their physical condition. Ryan Holt (Willowfield Harriers), Ben Branagh (St Malachy’s AC) and Neil Johnston (Springwell Running Club) will also be in contention up front, but all three will have one eye on the U-20 title. Foyle Valley duo Scott Rankin and Keith Shiels may enter, and will both battle for a high placing if they do, as will Michael Dyer (North Down AC) and Chris Mc Peak (City of Derry AC). As always, Northern Ireland’s seven ‘parkun’ events will take place as normal. Please visit our dedicated ‘parkrun’ section within the fixtures page to locate your nearest event. Stephen Kerr (Armagh City AC) and Eoghan Totten (Newcastle AC) have been rewarded for their fantastic efforts at yesterday’s Inter County Cross Country in Tattersalls, County Meath with a place on the Ireland Junior Men’s team due to compete at the European Cross Country Championships in Budapest on 9th December 2012. In a surprise and disappointing twist, several Northern Ireland runners, including the likes of Stephen Scullion (Clonliffe Harriers), Joe Mc Alister (St Malachy’s AC), Eddie Mc Ginley (Annadale Striders), Kerry Harty (Newcastle AC) and Gladys Ganiel O’Neill (North Belfast Harriers) who all performed exceptionally well at the event have been left out of the Senior squads. Sunday 25th November brought the latest instalment of the annual Saul GAC ‘Around the Griddle’ Race. Based in County Down and co-organised by Joe Quinn (East Down AC), it is no surprise that this 10km course is well known for it’s undulations and general toughness. On a bright, but bitter morning it was local East Down AC runner Liam Venney who warmed things up, blasting clear of the field from the off and winning by a margin of nearly three minutes as he crossed the line in 33:19. Seamus Lynch (Unattached), who has impressed in the ongoing 26extreme Winter Race Series produced a solid display, taking 2nd place in 36:17. Newcastle AC’s Brendan Quail (36:32) returned to the tarmac after several Cross Country outings to claim 3rd place. In the ladies race, Catriona Mc Corkell (Lagan Valley AC) showed that she is most definitely returning to fitness with an encouraging performance, sealing victory in 41:16. Local lady, Cheryl Denvir (East Down AC) finished 2nd place after running 43:58 before Mourne Runners’ Virginia Ervine completed to top three ladies. On Sunday 25th November 2012, many of the provinces top runners travelled to Tattersalls, County Meath for the Inter County Cross Country Championships, incorporating the trials for the Ireland team who are due to travel to Budapest in December for the European Cross Country Championships. The day also included several junior races as part of the All Ireland Juvenile Even Age Group Cross Country. The U12’s kicked things off with their 2000m races; Sarah Healey (Blackrock AC) and Shane Mc Monagle (Finn Valley AC) celebrated victory, with Katie Willa (Willowfield Harriers) and Tony Mc Cambridge (North Belfast Harriers) the first Northern Ireland based athletes to finish. The U14’s boy’s 3000m race brought Northern Ireland’s first winner of the day, in the form of talented youngster Christy Conlon (Beechmount Harriers). Cork City AC’s Caoimhe Harrington won the girls race, with Emma Hutchinson (Ballymena & Antrim AC) leading the Northern girls home. The U16 4000m races were won by Siofra O’Flaherty (St Laurence O’Toole AC) and Pierrer Murchant (Celtic DHC AC) in 15:54 and 14:08 respectively. Top Northern Ireland finishers were City of Lisburn AC pair Zoe Carruthers (16:36) and Jonathon Whan (14:53). In the competitive U18 race, DSD AC celebrated a double victory with Siofra Buttner (15:55) and Killian Mooney (21:04) winning their categories. Siofra covered 4000m, while Killian ran 6000m. Unattached runner Yasmin Wilson (17:05) and Lagan Valley AC’s Ryan Sharkey (21:53) were the leading Northern Ireland finishers. One of the day’s highlights followed when young Armagh AC athlete Stephen Kerr, currently studying at Mc Neese College secured the Irish Junior XC title after winning his 6000m (Under 20) race in an impressive 20:53. Newcastle AC’s Eoghen Totten (21:24) took 3rd place in the same race, while Willowfield Harriers’ Ryan Holt (21:33) and St Malachys AC’s Ben Branagh (21:29) also produced notable performances. Portlaoise AC’s Mary Mulhare won the Junior Women’s 4000m equivalent. Omagh Harriers’ Sara Moore (16:51) was Northern Ireland’s top lady in this race, with Lagan Valley AC’s Eva Laverty (17:40) also running well. Next up was the much anticipated Senior Women’s 8000m and Senior Men’s 10,000m races, and with the County Championship and places in the Irish team to run for the stakes were high. The ladies were off first, and Northern Ireland were well represented; Kerry Harty (Newcastle AC), Gladys Ganiel O’Neill (North Belfast Harriers) and Breege Connelly (North Belfast Harriers) all showed well early on and looked to be in contention for high placing throughout. However, it was DSD AC and Irish Olympian Ava Hutchinson who stole the show, winning the race in 31:06, just ahead of Leevale AC’s Lizzie Lee (31:10) who took 2nd place. Clonliffe Harriers’ Sarah Mc Cormack ran strongly to secure 3rd place in 31:27. Kerry Harty (31:41) led the Northern Ireland ladies home in 5th place, with Gladys Ganiel O’Neill (31:55) in 7th place. Breege Connolly (33:15) finished in 15th place, while North Down AC’s Jessica Craig (35:16) continued her fantastic Cross Country form with a 36th place finish. Danielle Fegan (Armagh AC) showed strength, crossing the line in 35:36 (43rd place) before Beechmount Harriers’ Joanne Mills (36:36) and North Down AC’s Rachel Gibson (36:45) finished in 50th and 51st place respectively. It was down to the men to close a fantastic day of competition, on a course that now looked more like a moto-cross track as opposed to a running course. In a race that contained most of Northern Ireland’s top male runners, all performed well but it was DSD AC’s Joe Sweeney who ran out well-deserved winner. He clocked 33:27, finishing over thirty seconds ahead of Portlaoise AC’s Michael Mulhare (34:06) who took 2nd place. Sean Hehir (Rathfarnham WSAF), a man that has performed extremely well on the roads this season claimed 3rd place, crossing the line in 34:16. Stephen Scullion, now of Clonliffe Harriers led the strong Northern Ireland contingent across the line in 34:44 (5th place). St Malachys AC’s Joe Mc Alister (34:58) and Annadale Striders’ Eddie Mc Ginley followed in 6th and 7th place before Ciaran Doherty (Letterkenny AC) recorded 35:52, taking 19th place. Paul Pollock (Annadale Striders) could possibly have found the muddy, heavy course difficult following his recent road exploits, he finished in 22nd place after running 36:12. Annadale Striders club mate Ryan Mc Dermott (36:16) ran well, finishing in 24th place, just ahead of Jarlath Falls (Ballymena & Antrim AC) who ran 36:27. City of Derry’s Declan Reed (32nd place – 36:41) and Annadale Striders’ David Morwood (35th place – 36:55) followed before a host of well-known Northern Ireland athletes finished; East Down AC’s Brendan Teer (40th place – 37:23), North Belfast Harriers’ Alan O’Hara (37:25), Annadale Striders’ Owen Carleton (43rd place – 37:32), City of Derry AC’s Emmett Mc Ginty (46th place – 37:38) and St Malachys AC’s Stephen Rooney (37:40). City of Derry AC’s James Brown crossed the line in 38:28 (61st place), before Foyle Valley duo Chris Mc Guiness (38:32)and Puis Mc Intyre (38:38) finished in 65th and 66th place. North Down AC’s Francis Marsh, co-ordinator of the County Down team clocked 38:42, to finish 68th. Annadale Striders’ James O’Hare ran 38:45 (70th place), while East Down AC’s Neil Mc Cartan (38:59) and Foyle Valley AC’s Scott Rankin (38:59) finished in exactly the same time. St Malachys AC’s Aidan Mc Cormack (39:56) dealt with the tough course well, finishing in 89th place, as did Dennis Scott of North Down AC, who ran 40:51 (102nd place). City of Derry AC’s Noel Logan (105th place – 41:16) followed before East Down AC’s Barrie Atkinson (118th place – 42:34) and Newcastle AC duo Brendan Donnelly (125th place – 44:04) and Mark Kendall (127th place – 44:34) completed Northern Ireland interest in the competition. In the men’s race, County Antrim narrowly missed out on a winners medal in the County Championships after Dublin were awarded 1st place after a count back, both teams finished on 93 points. County Derry/Londonderry collected team Gold in the B graded category, while the County Down team took home a Bronze for their performance in the C graded category. On Saturday 24th November 2012, running enthusiasts from across Northern Ireland played their part in the ‘Run 4 Rescue’ fundraising race in aid of the Mourne Mountain Rescue Team. Entrants had the choice of a 4 mile race or the tougher 10 mile race, Scott Henderson (Banbridge AC) and Monica Mc Crickard (Leitrim Ladies) chose the shorter distance and ran out worthy winners in their respective categories. Scott clocked 25:31 and Monica crossed the line in 33:05. In the longer event, Mourne Runners featured prominently, with Clive Bailey securing an impressive victory in 1:07:09. Talented international athlete, Karen Alexander (Sperrin Harriers) ran 1:07:48 and finished in 2nd place overall, taking the ladies top spot on doing so. Unattached runner Robert Newell (2nd place – 1:08:23) was next home before Mourne Runners’ Richard Bell (1:09:08) secured a well-deserved 3rd place. Experienced mountain runners Anne Sandford (Lagan Valley AC) and Hazel Mc Laughlin (Lagan Valley AC) tussled for 2nd place behind Karen Alexander. This time around, Anne (1:13:34) beat Hazel (3rd – 1:13:41) by just seven seconds. The event proved hugely successful, raising well over £600 for a very worthwhile cause. Full Results: Run 4 Rescue 4mile/10mile Race 2012 Results. Above picture taken from ‘Inside Track’. On Saturday 24th November 2012 26extreme took their Winter Race Series to Slieve Gullion Forest Park, Meigh for the fourth race of the increasingly popular series. Ballydrain Harriers’ David Simpson proved a different class, leading the field home in 39:34, over two minutes clear of Unattached runner Stuart Paulin (2nd place – 42:03) who himself is becoming a regular on the 26extreme podium. Shane Lynch (Unattached) crossed the line in 43:57 to secure 3rd place. Laura O’Driscoll (Unattached) was just as impressive in winning the ladies race, she surged ahead early on, building an uncatchable lead to finish in 49:16. Newry City Runners’ Lillian O’Hanlon (55:39) took 2nd place, with Unattached athlete Maura Mc Ardle (58:28) in 3rd place. The men’s race will be a tight affair, with DSD’s Joe Sweeney and Annadale Striders’ Paul Pollock likely to lead the field. Paul’s club mates; Eddie Mc Ginley, Andrew Agnew, Paddy Hamilton, Owen Carleton, Dave Morwood and Ryan Mc Dermott should all race, while Northern Ireland man Stephen Scullion (Clonliffe Harriers) has travelled home from England for the event. Joe Mc Alister (St Malachy’s AC) may also compete, and after last weekend’s second place in the Brighton 10k, he will be hoping for another podium finish here. Scott Rankin (Foyle Valley AC) will hope to finish at the top end of the field after his outstanding performance in last Saturday’s Seeley Cup. He will be joined in the County Derry/Londonderry team by Declan Reed (City of Derry AC). Niall Robinson (North Down AC), Brendan Teer (East Down AC), Andrew Hicks (Dromore AC), Stephen Kerr (Armagh AC), Francis Marsh (North Down AC) and Keith Shiels (Foyle Valley AC) will all run well, as will fellow Northern Ireland runners Dennis Scott (North Down AC), Neil Mc Cartan (East Down AC), Mark Kendall (Newcastle AC), Barrie Atkinson (East Down AC) and Brendan Donnelly (Newcastle AC). In the ladies race, Kerry Harty (Newcastle AC) will hope to follow on from her impressive display at the recent Burgos International Cross Country race in Spain with a similar performance here. She will be joined on the start line by Gladys Ganiel O’Neill (North Belfast Harriers), Julie Turley (Dromore AC) and Katherine Whoriskey (City of Derry AC). North Down AC duo Jessica Craig and Rachel Gibson will also race, and both should place well after showing talent in recent local Cross Country races. Also happening this weekend; On Saturday 24th November 2012, 26extreme will take their Winter Series to Slieve Gullion Forest Park in Meigh. Triathlete Kerry Speers (North Down CC) will be out to notch her fourth consecutive win of the series. Her husband, Chris Speers (North Down CC) will be in contention for a podium place but he will have to fend of challenges from the likes of Stuart Paulin (Unattached), Seamus Lynch (Unattached) and Johnny Gregg (Unattached). Series regulars; Paul Lyons (Unattached), Andrew Hanna (Unattached), Mary Boyle (Unattached), and Sarah Quinn (Unattached) will all race. Sean Goodman (Newry City Runners), Pat O’Hare (Club Unknown), Michael Sinton (Unattached) and Katherine Gracey (Unattached) will finish in the top ten should they attend, while Newry City Runners; Don Travers, Dale Mathers and Denise Mathers may enter on the day. Also on Saturday, Mourne Runners will assist the Mourne Mountain Rescue team with their ‘Run 4 Rescue’ ten mile race in Annalong. Ballymena Runners’ Jonny Steede, North Belfast Harriers’ Martin Rea and Mourne Runners’ pair; Stephen Cunningham and Andrew Annett will challenge for top spot should they attend, while Newcastle AC’s Deon Mc Neilly and David Mc Neilly will hope to use the strength gained from successful cross country outings in their challenge for a podium place. Unfortunately their club mate, David O’Flaherty is struggling with a niggle which may rule him out. PJ Mc Crickard (Newcastle AC), Jerome Mc Crickard (Newcastle AC), Stephen Dunn (Unattached), Mark Alexander (Ballymena Runners), Simon Reeve (North Belfast Harriers) and Jonathan Graham (Ballymena Runners) may also run. The ladies line-up should include Lagan Valley AC duo; Shileen O’Kane, Anne Sandford. Jackie Toal (BARF) and Violet Linton (LVO) will place well if they decide to take part. On Sunday, East Down AC will welcome runners to their annual ‘Round the Griddle 10k’ race. With local man Brendan Teer (East Down AC) racing in County Meath, Willowfield Harriers youngster Ryan Holt should improve on his second place finish last year if he makes an appearance. Ballydrain Harriers’ David Simpson could participate and will play a prominent part if he does, as will Newcastle AC’s Brendan Quail and North Belfast Harriers’ Jim Benson and Gareth Grew. East Down AC trio; Liam Keenan, Philip Vint and Declan Teague will all be out for a top ten placing, as will Lagan Valley AC’s ever consistent David Wright. Ciara Coffey (Unattached) could race after a fantastic performance in the Seeley Cup last weekend. Hazel Mc Laughlin (Lagan Valley AC) and local lady, Cheryl Denver (East Down AC) should both challenge for a podium place, while Cheryl’s club mates Lisa Milligan and Avria Mc Laughlin will finish well up the field. All seven of Northern Ireland’s ‘parkrun’ events will also take place as normal. Check out our dedicated ‘parkrun’ section within our fixtures section to find your nearest event. On Wednesday 21st November 2012, Athletics Northern Ireland held an awards ceremony to celebrate the ‘true heroes’ of local athletics. Runners, Kerry Harty (Newcastle AC) and Fionnuala Ross (McNeese College) were rewarded for their new Northern Ireland records, both of which were achieved at the same event in Los Angeles (USA) in April 2012. Kerry ran 9:56.73 in the 3,000m steeplechase, while Fionnuala clocked 35:18.06 for 10,000m on the track. Congratulations to all of the above, and also to Zoe Brown and Dempsey McGuigan who were rewarded for breaking Northern Ireland records in the Pole Vault and Hammer disciplines respectively. Information courtesy of Athletics Northern Ireland. Please visit the Athletics NI website for full story and photographs. On Sunday 18th November 2012, St Malachys AC’s Joe McAlister ran 30:24 to secure an excellent 2nd place finish in the Brooks sponsored ‘Brighton 10k’ Road Race. The event was won by New Zealand born runner Paul Martelletti (Victoria Park Harriers) in 30:00. In Leeds, St Malachys AC’s Kevin Seaward and East Antrim Harriers’ Ian Bailey were amongst a 9,000 strong field competing in the annual ‘Leeds Abbey Dash’. Kevin completed the 10k course in 30:36 (21st place), while Ian ran 32:54 (39th place). The race was won by local athlete Luke Cragg (Leeds City AC), who crossed the line in 29:29. Meanwhile, in Dublin, 147 runners took part in the ‘NYC Dublin Marathon’ in Pheonix Park. This was a FREE event, organised by the Dublin Marathon for Irish runners who missed the ING New York City Marathon earlier this month after it was cancelled. NiRunning follower Richard Hill was one of the participants, he dipped under the 4 hour mark for the first time after crossing the line in 3:59:36 (75th place). Triathlete, Wayne Reid (Club Unknown) from Athlone was the first to finish in a personal best time of 2:43:48, while Karen Levelle (Star of the Sea AC) was the first lady home in 3:09:27. On Saturday 17th November 2012, nearly 1000 runners took part in the Podium 4 Sport Seeley Cup 10km Road Race, incorporating the Northern Ireland 10km Championships. Covered in winter sun, Ormeau Park was buzzing as the runners ventured towards the start line on the Embankment. As the runners set off, spectators scurried towards the inner area of the park to catch a glimpse of the provinces talent as they took on the 6.2 mile course. In the early stages, Annadale Striders trio; Paul Pollock, Paddy Hamilton and Owen Carelton featured prominently, as did Foyle Valley AC’s Scott Rankin. Meanwhile, Kerry Harty (Newcastle AC) led the ladies through 3km, with Julie Turley (Dromore AC) and Gladys Ganiel O’Neill (North Belfast Harriers) just behind. However, Julie was forced to withdraw a short time later with a painful stitch. This left Gladys in second place going through half way, with her North Belfast Harriers club mate Claire Connor in third place. In the men’s race, Foyle Valley AC’s Scott Rankin was holding his position in the lead group, but Owen Carelton was beginning to tire. As the expectant crowds moved towards the finish line it was Annadale Striders Paul Pollock who veered off the main pathway and towards the finish, he crossed the line in 30:40 to take 1st place, and with it the honour of being Northern Ireland 10km Champion, adding to his already bulging trophy cabinet which includes the National Half Marathon and National Marathon titles! Club mate Paddy Hamilton (30:49) finished a mere nine seconds behind, with the outstanding Scott Rankin (31:38) taking 3rd place after producing the performance of his life. In the ladies race, Kerry Harty ran strongly through the second half, increasing her lead and taking the ladies 10km title in a personal best time of 34:23. Gladys Ganiel O’Neill took 2nd place in 34:58, while Claire Connor (37:50) held on for a well-deserved 3rd place. After a nervous wait, Annadale Striders were awarded the Seeley Cup, narrowly seeing off a strong challenge from North Belfast Harriers. North Belfast Harriers were presented with the ladies team prize. Full Results: Podium 4 Sport Seeley Cup 10km Road Race Results 2012 Full ‘Race/Event Review’ and Photographs (‘Gallery’) also available within relevant sections. Above picture courtesy of Brian O’Neill. Weekend Preview: The only way is Seeley! On Saturday 17th November 2012 the country’s finest runners will compete in the Seeley Cup 10km race, incorporating the Northern Ireland 10km Championships. Nearly one thousand runners will take to the tarmac within, and surrounding Ormeau Park, Belfast for arguably the provinces most competitive race. A quick look at the entry list shows an amazing amount of talent, making for an exciting day of racing. Northern Ireland’s ‘man of the moment’, Paul Pollock (Annadale Striders) will make a welcome return to racing after his outstanding performance in Dublin three weeks ago. The National Marathon Champion will head an incredibly strong Annadale Striders team including; Eddie Mc Ginley, Paddy Hamilton, Andrew Agnew, Owen Carleton, Ryan Mc Dermott, James O’Hare, Dave Morwood, Eoin Mullan, Simon Taylor, Paul Carroll, Keith Purdy, Michael LeVelley and Stephen Mc Grory. Brendan Teer (East Down AC), Michael Dyer (North Down AC), Ryan Holt (Willowfield Harriers), Paul Rowan (Willowfield Harriers), Francis Marsh (North Down AC), Scott Rankin (Foyle Valley) and Armagh City duo Richard Turkington and Dermot Kerr should all play a part at the head of the field. David O’Flaherty (Newcastle AC), Andrew Annett (Mourne Runners), Conan Mc Caughey (Enniskillen RC), Dale Mathers (Newry City Runners), Andrew Hicks (Dromore AC) and Phil Wood (Unattached) will all finish well up, as will Willowfield Harriers youngsters Patrick Linden and Chris Moren. Larne AC’s Justin Maxwell will return to competition after racing Snowdonia Marathon and Dublin Marathon last month. Like the men’s race, the ladies event read something similar to a ‘who’s who’ of Northern Ireland runners; North Belfast Harriers’ Breege Connolly will battle it out with Kerry Harty (Newcastle AC), Julie Turley (Dromore AC) and Gladys Ganiel O’Neill (North Belfast Harriers) at the front of the field. Not far behind, Judith Lowry (City of Lisburn AC), Jessica Craig (North Down AC) and Julie Balmer (North Down AC) will all be ready to move should one of the leading ladies tire. North Belfast Harriers’ duo Claire Connor and Judi Graham, alongside North Down AC ladies; Rachel Gibson, Stephanie Hambling, Ange Perrott, Ali Robinson and Melissa Eccles will all be in contention for a top ten finish, and it will be one these seven ladies who dictate whether ladies team prize goes to North Belfast Harriers or North Down AC. Ciara Coffey (Unattached), Caroline Irwin (Springwell Running Club), Rebecca Murtagh (Dromore AC), Shileen O’Kane (Lagan Valley AC), Anne Paul (City of Derry AC), Geraldine Quigley (Larne AC) and Debbie Matchett (North Down AC) will all hope to finish off a successful season with a strong performance. Aside from the Seeley Cup 10km, Northern Ireland’s usual seven ‘parkrun’ events will also take place as normal. Please visit our dedicated ‘parkrun’ section within our ‘fixtures’ page to locate your nearest event. On Thursday 15th November 2012, 26extreme Winter Series participants travelled to Castlewellan Country Park, County Down for the third race in series. With head torches alight, runners set of into the darkness. After a close first lap it was North Belfast Harriers’ Martin Rea, winner of Race 1 in Stormont who picked up the pace, surging clear to break the tape in 37:07. Seamus Lynch (Unattached) took 2nd place after clocking 37:56, while Chris Speers (North Down CC) completed the top three in 38:45. In the ladies race, Kerry Speers (North Down CC) completed a hat-trick of wins in the series, crossing the line in an excellent 42:31, ahead of Lagan Valley AC’s Anne Sandford (43:56) who finished in 2nd place. Unattached athlete Teresa Fearon (48:48) ran strongly and was rewarded with 3rd place. On Wednesday 14th November 2012, runners gathered at the Stormont Hotel, Belfast in preparation for the ‘Run in the Dark for Mark’ 5km and 10km races taking place within Stormont Estate. The races, raising worthwhile funds for the Mark Pollock Trust(www.markpollocktrust.org) attracted well over six hundred runners. In the moonlight, participants set off towards parliament buildings, the 5km runners completed one lap of an undulating course, while the 10km runners took on a second lap of the same route. Eamonn Mc Laughlin (Lagan Valley AC) won the 5km race in 17:55, with unattached runners Joseph Traynor (18:09) and DUB runners’ James Trainer (18:28) in 2nd and 3rd place respectively. Claire Mc Ilwaine (Unattached) won the ladies 5km event, crossing the line in 22:18, ahead of unattached runners Gemma Owens (24:27) and Sharon Crawford (24:35). In the 10km race, Alan Megaw (Unattached) ran an impressive race, winning by exactly one minute as he broke the tape in 37:55. Alan Johnston (38:55), another unattached runner took 2nd place while North Belfast Harriers’ Simon Reeve finished in 3rd place, running 39:06. Sarah Fairley (Unattached) won the ladies race in 44:20, with Miss Northern Ireland Tiffany Brien (Unattached) taking 2nd place in 44:56. Taryn Mc Coy (Peninsula Triathlon Club) completed the podium finishers when she crossed the line in 45:19. *NOTE* Above article (and official results) are subject to change as some people who collected multiple race packs may have worn the wrong timing chip. The NI Mountain Running Association’s annual prizegiving and awards night took place last Saturday (10th November 2012) in Newcastle with presentations for the Northern Ireland Championship and the NIMRA Grand Prix Series. The NI Championship comprised six races: Glenariff, Annalong Horseshoe, Flagstaff to Carlingford, Mourne Seven Sevens and The Fallows. The Championship was determined on a runner’s best 4 results from the series. Stephen Cunningham (Mourne Runners) and Shileen O’Kane (Lagan Valley AC) were the 2012 Champions and NIMRA President Jim Hayes presented them with the Championship Trophies on Saturday. Trophies were also awarded for the NI Championship age category winners and the NIMRA Grand Prix Series. The men’s Championship was closely contested with four different athletes winning the six races. Alan Bogle (City of Derry AC) won the opener at Glenariff in March, then Deon McNeilly (Newcastle AC) posted an impressive performance to win the classic Annalong Horseshoe in April. In May, Stephen Cunningham took maximum points at Slieve Bernagh, then continued to dominate with wins at Flagstaff to Carlingford in June and the Mourne Seven Sevens in August. That run of wins secured the 2012 title for the Annalong man ahead of the sixth race, to add to his previous Championship title in 2010. Jonny Steede (Ballymena Runners) broke the course record at final race, The Fallows, in September and secured the runner up spot, with Deon finishing third overall in the Championship and first in the Masters category. In contrast, Shileen O’Kane dominated the women’s Championship throughout and secured her third consecutive NI title. The Lagan Valley athlete had a maximum score of 800 points from 4 straight wins. She finished six points clear of her clubmate Anne Sandford, with Jacqui Toal (BARF) third, two points behind. The NIMRA Grand Prix comprised 8 races over a wider range of terrain, with a runners best 6 results to count for their overall series position. David McNeilly (Newcastle AC) was the clear winner, 18 points ahead of Clive Bailey (Mourne Runners) with Dale Mathers (Newry City Runners) third, 19 points behind. Among the women, Shileen O’Kane secured a double as she added the Grand Prix Series to her NI Championship title, ahead of her clubmates Anne Sandford and Diane Wilson. See NIMRA website for full results. Entire article produced by Athletics Northern Ireland. On Sunday 11th November 2012, well over one hundred runners took part in the North West Triathlon Club organised 5km road race in Derry/Londonderry. Letterkenny AC’s Martin Gormley won the race in 18:16, with North West Triathlon Club’s very own Gavin Doherty (18:41) in 2nd place. Performance of the day went to City of Derry AC’s Katherine Whoriskey who finished in 3rd place overall, clocking 18:51 and therefore sealing an easy victory in the ladies race. Johnny Mc Claren (North West Triathlon Club) was the fourth person across the line in 18:57, taking 3rd place on the men’s podium. While in the ladies race, Unattached runner Martina Hegarty (22:15) finished in 2nd place, ahead of Foyle Valley AC’s Rachel Doherty (22:45) who finished in 3rd place. On Sunday 11th November 2012, junior and senior cross country runners from across the province travelled to Killybegs for the Northern Ireland & Ulster Uneven/Novice Cross Country Championships. As usual, the day started with the exciting and well supported junior races. In the U11 (1200m) races, Annalee AC’s Mary Kate Gannon (5:48) and Cranford AC’s Stephen Black (4:55) got their respective clubs off to a winning start. Meanwhile, in the U13 (2000m) races, talented Ballymena & Antrim AC star Emma Hutchinson (9:48) and Finn Valley AC’s Aaron McGlynn (8:55) won their races. Toni Moore (Omagh Harriers) ran an excellent 14:06 to secure victory in the U15 girls (3000m) race, while St Peters AC’s Niall McCarron (12:32) secured gold in the boys (3000m) event. In the U17 race, future star; Clodagh O’Reilly (Annalee AC) followed up her outstanding victory in Rostrevor a few weeks ago with an equally impressive performance here, she won her 4000m race in 18:11, with St Malachys AC’s Paddy Robb taking top spot in the boys 6000m race. Another two runners to watch out for in the future, Omagh Harriers’ Sara Moore (13:49) and St Malachys AC’s Ben Branagh (23:24) were well-deserved winners in their U19 races, with Sara racing over 3000m and Ben 6000m, while Lagan Valley AC’s Toni Buchanan (21:20) won the alternative U19 girls event, over 4500m. After the junior races had been settled, it was down to the adults to impress; and they did just that! In an exciting encounter, Finn Valley AC’s Mark Hoy (22:41) just held off club mate Gerard Gallagher (2nd place – 22:45) to win the men’s 6000m ‘novice’ race. Annalee AC’s Cian O’Reilly (22:47) took 3rd place, just two seconds behind. In the ladies 4000m race, North Down AC’s Rachel Gibson’s recent good form showed, as she ran an excellent race to win in 18:06. Lifford AC duo Natasha Adams (18:12) and Claire McGuigan (18:15) finished in 2nd and 3rd place respectively. 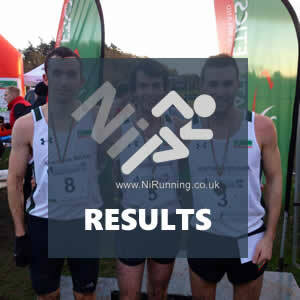 Full Results (including team results): NI & Ulster Uneven Cross Country Championships 2012 Results – Please see Athletics NI website for detailed report. On Sunday 11th November 2012, Northern Ireland based runners, Eddie Mc Ginley (Annadale Striders) and Kerry Harty (Newcastle AC) took part in the IAAF sanctioned Burgos International Cross Country in Spain. In what was a world class field, both ran well. Eddie completed the tough 9.8km course in 30:20 (53rd place) while Kerry covered her 7.8km course in 27:23 (21st place). The men’s race was won by Imane Merga (Ethiopia) in 28:07, with Hiwot Ayalew Yimer (Ethiopia) leading the ladies home in 25:01. Both Eddie and Kerry will now look towards selection for the Ireland XC team for the upcoming European Championships in Budapest in December 2012. On Saturday 10th November 2012, Sperrin Harriers welcomed over one hundred runners to Lough Fea, Cookstown for Race 2 of their Winter League Trail Series. On this occasion, runners were provided with a scenic 5km course to test their fitness. It was Race 1 winner, Puis Mc Intyre (Foyle Valley AC) who once again stepped up to the plate, performing well to secure his second win of the series in 16:49. Local man, Glenn Donnelly (Sperrin Harriers) also ran well, taking 2nd place in 17:16. Unattached athlete Paul O’Callaghan (17:38) finished in 3rd place. Like the men’s race, it was previous winner Anne Paul (City of Derry AC) who sealed her second win of the series, breaking the tape in 20:11, just ahead of Unattached athlete Bliadhan Glass (20:20) and Omagh Harriers’ Caroline Miller (21:45) who secured 2nd and 3rd place respectively. On Saturday 10th November 2012, 26extreme took the second of their Winter League series races to Donard Park, Newcastle. Now in its second year, the event has proved popular with runners who are prepared to run on any terrain, day or night! On this occasion the race was held during daylight hours within the confines of the spectacular County Down forest park. Ballydrain Harriers’ David Simpson, a talented and popular runner within the Northern Ireland scene sealed an impressive win, completing the difficult course in 41:15. Unattached runner Stuart Paulin (43:42) followed on from his 2nd place in Race 1 with another runner up position here, Johnny Gregg (Unattached) completed the top three finishers when he crossed the line in 46:40. In the ladies race, triathlete Kerry Speers (North Down CC) continued her winning start to the series with another notable performance, leading the ladies home in 47:58. Relatively unknown runners Julie-Anne Lewis (55:35) and Kathryn Gracey (1:01:49) finished in 2nd and 3rd place respectively. On Saturday 10th November 2012, veteran athletes from Northern Ireland, Ireland, England, Wales and Scotland gathered at the new Queens University Sports Centre, Upper Malone, Belfast for the annual British & Irish Masters International Cross Country event. Having had to move venues only a few weeks before the event, it was fitting that the Queens complex proved to be a perfect choice; athletes and spectators made use of the modern, warm pavilion during the early morning drizzle before racing began. The light rain cleared and conditions were favourable for running, the well thought out course was complimented by runners and spectators alike. After team photographs had been taken it was down to the Ladies, Men Vet65 and Men Vet70 to kick off the day’s racing. In an exciting 6km race; Claire Martin (England), Julie Turley (Ireland) and Gladys Ganiel O’Neill (Northern Ireland) led the field during the early stages, before Ireland’s Barbara Cleary joined the pack. It was Barbara Cleary who finished strongest, racing clear in the final lap. However, a cruel twist was to follow, as Barbara approached the finish she stopped just short of the line, thinking that she had crossed it. Claire Martin took advantage of her error, taking victory in 21:21. Julie Turley (21:34) nipped in to take 2nd place before a despondent Barbara Cleary was encouraged to finish, securing 3rd place in 21:36. Ireland’s Jackie Carthy won the Vet40 prize, while Philippa Taylor (England) took the Vet45 title. Fiona Matheson (Scotland) ran well to win the Vet50 and Carmell Parnell (Ireland) won the Vet55 category. Janice Needham (England) won the Vet60 prize, as Angela Copson (England) took the Vet65 equivalent. In the men’s race, Martin Ford (England) won the Vet65 prize, while England’s Les Haynes took the Vet70 title. As the crowds gathered for the 12.15pm Men’s Vet50, Vet55 and Vet60+ race the buzz was evident and it was Northern Ireland representative, Deon Mc Neilly from Newcastle AC who used this as encouragement, setting off at a blistering pace. Deon led the men through two laps before England’s Graeme Saker and Ireland’s Tommy Payne closed him down. As the trio battled it out in the final lap, Graeme Saker showed his strength and raced ahead of the understandably tired Deon McNeilly, completing the 8km course in 27:20. Deon McNeilly held on for a well-deserved 2nd place, clocking 27:25 while Tommy Payne (27:32) took 3rd place. As all three men were in the Vet50 category, Graeme Saker (England) secured top spot, while his team mates Davis Butler (Vet55) and Mike Hager (Vet60) won their races. In the final International race of the day, the 8km Men’s Vet35, Vet40 and Vet 45 race, Northern Ireland’s Stephen Duncan headed a pack of 6-8 men, all possessed winning credentials. In an enthralling encounter, it wasn’t until the final lap that the speedy field began to take shape, with England’s Andy Morgan Lee surging clear, winning the race in 26:55. Ireland’s Ciaran Doherty (26:59) just pipped Northern Ireland’s Stephen Duncan (3rd place – 27:00) to 2nd place, securing the Vet35 title at the same time. Race winner, Andy Morgan Lee (England) won the Vet40 prize, while the Wales’ Austin Davies took the Vet45 prize. The Male and Female ‘open races’ concluded a day of exceptional racing, both set off at the same time, with the ladies covering 6km, while the men raced over 8km. Newcastle AC’s David Mc Neilly sealed a proud day for the County Down club, winning the men’s race in 28:52. Preston AC’s Stephen Smith (28:58) finished in 2nd place, while Larne AC’s Greg Lavery produced an excellent final lap to take 3rd place in 29:13. Impressive lady, Jo Coates (St Edmunds AC) led from start to finish in the ladies race, winning in 23:23. Corstorphine AAC’s Gillian Carr (24:16) took 2nd place, while West Suffolk’s Maureen McCarthy (24:50) finished in 3rd place. Shileen O’Kane (Lagan Valley AC) was the first local finisher, in 4th place (24:57). Category Winners: W35 – Claire Martin (England), W40 – Jackie Carthy (Ireland), W45 – Philippa Taylor (England), W50 – Fiona Matheson (Scotland), W55 – Carmell Parnell (Ireland), W60 – Janice Neeham (England), W65 – Angela Copson (England), M65 – Martin Ford (England), M70 – Les Haynes (England). Team Medals: Northern Ireland’s Men Vet40 team won a Silver medal, while our Women’s Vet35, Men’s Vet35 and Men’s Vet50 teams all won Bronze medals. Full Results: British & Irish Masters International XC 2012 Results – Open Race 2012 Results – Race photographs are available within our ‘Gallery’ and here: Mark Ramsey Photography. Team standings: International XC Team Results 2012. Picture above kindly provided by Brian O’Neill. Weekend Preview: Another exciting weekend of racing ahead! Another weekend of Cross Country lies ahead, with two major events taking place on Saturday and Sunday, as well as the second race of the 26extreme and Sperrin Harriers Winter Series events. On Saturday 10th November 2012 teams from Northern Ireland, Ireland, Scotland, England and Wales will battle it out at Queens Playing Fields, Belfast as the annual British & Irish Masters International XCcomes to town. The ‘open’ races at the International event should provide a good spectacle if recent weeks are anything to go by; Jarlath Falls (Ballymena & Antrim AC), Brendan Teer (East Down AC), Niall Robinson (North Down AC) and Ryan Holt (Willowfield Harriers) should all race, and could be joined in the lead group by Annadale Striders’ duo Owen Carleton and Ryan Mc Dermott as well as Foyle Valley AC’s Scott Rankin. Unbeatable Jessica Craig (North Down AC) will hope to continue her exceptional start to the Cross Country season, but she’ll again have to fend off St Peters AC’s talented front runner Patricia O’Hagan. North Down AC, always well represented in the ladies races may also have Melissa Eccles and Ali Robinson to call on. If North Belfast Harriers’ Claire Connor and Judi Graham race, they will both play a prominent part in proceedings after impressive performances last weekend in Ballyclare. Also on Saturday, 26extreme take their ‘Winter Series’ roadshow to Donard Park, Newcastle for the second race in the series. After winning Race 1 at Stormont, Martin Rea (North Belfast Harriers) should compete. With it being a local event, Newcastle AC trio; David O’Flaherty, PJ Mc Crickard and Eamonn Mc Crickard may also enter on the day. Podium finishers from Stormont, Lochlain Connolly (Unattached) and Stuart Paulin (Unattached) are expected to take part and should perform well, as will Billy Reed (East Antrim Harriers) and Chris Collins (East Antrim Harriers). In the ladies race, last week’s winner Kerry Speers (North Down AC) should enter, and may be joined by Hazel Mc Laughlin (Lagan Valley AC) and Louise Lemon (Orangegrove AC) if they opt out of the open race at the Belfast cross country event. Shileen O’Kane (Lagan Valley) could enter on the day, while BARF’s Joanne Curran will place well after recent good performances. Sperrin Harriers also host the second race in their ‘Winter Trail Series’, this time Lough Fea is the destination of choice, for a short sharp 5km race. The promoting club will be well represented, with Glenn Donnelly likely to lead the red vests home in the absence of Donal Gallagher, who will be representing Northern Ireland at the British & Irish Masters Cross Country in Belfast. Glenn will be joined at the head of the field by Puis Mc Intyre (Foyle Valley AC), Allan Bogle (City of Derry AC) and recent Dublin Marathon finisher Aaron Meharg (Sperrin Harriers). Ballymena Runners’ Mark Alexander and Emmett Mc Allister could also participate, after both running strongly in Race 1. Karen Alexander (Sperrin Harriers) may take advantage of the locality of this event, and if she races she will be expected to win. City of Derry AC’s Anne Paul should claim another podium finish, while local lady Cheryl Caldwell (Sperrin Harriers) will also be hoping to reproduce her performance from Race 1 were she claimed a well-deserved 2nd place. Omagh Harriers’ duo Rosaleen Mc Carthin and Patricia Campbell will also finish well up the field. On Sunday 11th November 2012, junior and senior cross country stars from all over the province will make their way to the ‘Northern Ireland & Ulster Uneven/Novice Cross Country Races’ in Killybeggs, Donegal. The junior races will provide an excellent opportunity for spectators to watch some of the country’s best up and coming talent. The following are just a few to watch out for in their respective categories: U11 – Seamus Harley (Inishowen AC), Hayley Clarke (Shercock AC) and Ciara Corcoran (Shercock AC). U13 – Aine Corcoran (Shercock AC), Rachel Brown (Ballymena & Antrim AC) and Desire Bamisile (Willowfield Harriers). U15 – Christy Conlon (Beechmount Harriers), Eoin Maguire (St Malachy’s AC), Leanne Kiernan (Shercock AC) and Lois Hagen (Willowfield Harriers). The U17 category will be extremely close, with; Clodagh O’Reilly (Annalee AC), Peter Gibbons (Letterkenny AC), Conal Kirk (Lagan Valley), Conal Mc Cambridge (North Belfast Harriers), Paddy Robb (St Malachy’s AC) and Ryan Sharkey (Lagan Valley AC) all likely to feature. In U19 race, the likes of Yasmin Wilson (Unattached), Eva Laverty (Lagan Valley AC), Sara Moore (Omagh Harriers AC), Ben Branagh (St Malachy’s AC), Connor Doherty (City of Derry AC) and Tom Magee (Lagan Valley AC) will all be close to the front. In the senior novice races, Finn Valley AC’s James Speight should be in contention, as will City of Derry AC trio Chris Mc Peake, Emmett Mc Ginty and Noel Logan. Another City of Derry AC athlete, James Crampsey, will race for the first time since his excellent performance in Dublin Marathon. Adam Cooke (Enniskillen AC) should run well, while Foyle Valley AC’s Keith Shiels will compete despite representing Northern Ireland on Saturday. In the ladies novice race, North Down AC’s Rachel Gibson should be in or around the podium places, as will City of Derry AC’s Katherine Whoriskey and Lifford AC’s Catherine Logue. Amy Mc Daid (City of Derry AC), Ciara Fraser (City of Derry AC), Sophie Magee (Lagan Valley AC) will hope for a top ten finish. Ailish Patton (Finn Valley AC), Niamh Mc Daid (Letterkenny AC) and Jackie Mc Ginley (City of Derry AC) will also be in the mix. Also on Sunday, at least three Northern Ireland runners will toe the line at the famous IAAF sanctioned ‘Bargos International Cross Country’ in Spain. Annadale Striders’ Eddie Mc Ginley and Andrew Agnew will be joined by Newcastle AC’s Kerry O’Flaherty Harty. As usual, all seven of Northern Ireland’s ‘parkrun’ events will prove a popular choice for novice and experienced runners alike. 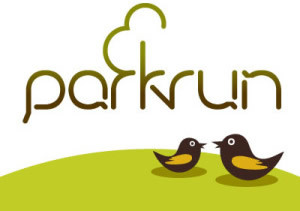 Please visit our dedicated ‘parkrun’ section to find your nearest event. Keith Shiels, Ian Taggart, Conor Curran, Declan Reid, Christoper Bryan, George McCourt. Reserves: Greg Lavery and Andy Guy. Barry Minnock, Peter O’Sullivan, Paul Buckley, Paul Fleming, Ciaran Doherty, Pat Byrne. Reserves: Roy Fahey and Simon Reede. Nat Lane, Paul Halford, Desi Damiani, Andy Peet. Stephen Allan, Paul Carroll, Joe McKnight, John MacNamara, Scott Martin, Russell Whittington. Michael Aldridge, Jonathan Archer, Orlando Corea, Mark Greenwood, Stuart Nelson, John Pike. Stephen Duncan, David Morwood, James Brown, Stephen McGory, Donal Gallagher, Jonny Park. Reserves: Gregory Walsh and Paul Carroll. Peter Matthews, Fintan Hyland, David Byrne, Mark O’Shea, Declan Fahey, Frank Hayes. Reserves: John Harkin and Shane O’Neill. Steffan Simms, Lee Jones, Simon Roberts, Stafford Rees, Stephen Thomas, Phil Cook. Reserve: Mike Robbins. Greg Glendinning, Greg Hastie, Ian Johnston, Kenny MacPherson, Grant Wilkie, Kerry Liam Wilson. Martyn Bell, Gareth Booth, Tim Hartley, Stuart Major, Andy Morgan-Lee, Darren Newbould. Reserves: Michael Moore and Paul Hilton. Cathal McLaughlin, Matt Wray, James Turtle, Bernard Brady, Steve Cairns. Reserves: Dale Mathers and James Wallace. Mick Traynor, Mark Gleeson, Paul Cowie, Noel Marum, Tom McGrath, Pauric McKinney. Reserves: Martin Corcoran, David Barron. Austin Davies, Gary Norgrove, Paul Griffiths, Paul Talbot, Chris Fulcher, Arwel Lewis. Reserve: Mike Robbins. John Blair, Alan Derrick, Michael McLoone, Gary Michell, Charlie Thompson, Chris Upson. Briam Hetherington, Julian Richardson, Andrew Robinson, Keith Small, Ian Wetherall, Simon Wright. Reserves: Simon Johnson and Richard Parker. Framk Sharkey, Deon McNeilly, Damien McGinty, Craig Hutchinson, Noel Connor, David Clarke. Reserves: Declan McCarthy and Nigel Greer. Tommy Payne, Mick Byrne, Tommy Hughes, Patrick O’Grady, Jim Stafford, Dominic Bonner. Reserves: Gerard Maloney and Dermot Clarke. Peter Coles, Ted Partridge, Ifan Lloyd, Nick Frost, Rob Sheen, Phil Kendrick. Reserve: Phil Crane. Iain Campbell, Colin Feechan, Willie Jarvie, Gerry Montgomery, John Stevenson, Neil Thin. Reserve: Jeff Farquhar. Guy Bracken, John Convey, Rob Hand, Colin Ridley, Graeme Saker, Andy Wilton. Reserves: Denis Walmsley, Stephen Smith. Michael Roberts, Ray Curran, Greg McClure, Frances Boal. Brian Lynch, Ben Vaitkevicuis, Eddie Walsh, Martin McDonald. Reserves: Eamon McEvoy and Desie Shorten. Kenin Hesketh, David James, Laurie Carter, Graham Jones. Reserve: Mick McGeoch. Alastair Dunlop, Gerry Gaffney, Brian Gardner, Ian Stewart. Reserve: Andy Law. David Butler, Steve Robinson, Alex Rowe, Gregory Wilson. Reserves: Brian Green, Kevin Newman and Alan Kemp. Jim Newberry, Terry Eakin, Gerry Bell, Irwin Speirs. Martin McEvilly, J J Murphy, John Todd, Pat O’Shea. Reserves: Terry Kavangh and Conor Cooney. Jim Woodcock, Dai Davies, Simon Partridge, Mike Davies. Ian Johnstone, Robert Marshall, Tony Martin, Andy McLinden. Reserve: Archie Jenkins. Mike Hager, David Littlemore, Peter Molloy, David Oxland. Reserves: Graham Webster, Des Michael and Stewart Thorp. David Seaton, Brian Smith, Willie Weir, Norman Lellyett. Reserve: Gerry Lynch. Pat Collins, Denis Shannon, Pat Healy, Christy McMonagle. Reserves: Sean McMullin and Terry Mee. Dic Evans, Peter Moody, Richard Bowan, Paul Allen. Reserves: Cyril Walters, John Llewellyn and Barrie Roberts. Hamish Cameron, Stewart McCrae, George Mitchell, Colin Youngson. Reserve: David Fairweather. Martin Ford, Geoff Newton, Malcolm Renyard, Peter Young. Reserves: Roy Treadwell, Harry Matthews. Fred Murdock, Gary Nicholl, Jim Platt, Drew Crawford. Reserve: John McKeag. Jim McNamara, Jim Langan, Terry O’Keeffe, Mike Duggan. Reserve: Tadgh Twoomey. Gordon Orme, Brian Gough, Ken Buckle, Roger Harrison Jones. Reserves: Mark Tattershal and Brian Blanford. George Black, Pete Cartwright, Watson Jones, Ian Leggett. Reserve: Walter McCaskey. Fred Gibbs, Les Haynes, Walter Ryder, Roger Wilson. Reserves: George Buckley and Michael Coupe. Ange Perrott, Gladys Ganiel O’Neill, Lisa Finlay, Julie Butler. Reserve: Geraldine Quigley. Barbara Cleary, Julie Turley, Jean Wilson, Marie McCarthy. Reserves: Dervila Holmes and Martina O’Dwyer. Joanne Donnelly, Claire Beatty, Deborah Reed, Nicola Haines-Jones. Barbara Knox, Avril Mason, Claire McCracken, Joasia Zakrzewski. Kirsty Longley, Clare Martin, Lisa Palmer, Claire Simpson. Reserves: Louise Rudd, Juliette Minter and Jo Coates. Gillian Burns, Stephanie Hambling, Sian Finlay, Jackie McGinley. Reserves: Shileen O’Kane and Valerie McDonough. Jackie Carthy, Lucy Darcy, Colette Touhy, Carmel Crowley. Reserves: Fionnuala Desmond, Emila Dan. Satu Haikala, Maria Zubizarreta, Sharon Leech, Nicola Gething. Shona Aiken, Clare Barr, Hazel Dean, Julia Henderson. Louise Peters, Kate Ramsey, Emma Rogers, Lucy Walmsley. Reserves: Heather Christopher and Stephanie Scott. Helen C Stockdale, Anne Sandford, Debbie Matchett, Bridgeen Byrne. Reserves: Denise Mathers and Paula McGilloway. Angela O’Connor, Veronica Colleran, Geraldine Brannagh, Helen White. Reserves: Ann Moore and Noleen Porter. Susan R Davies, Lisa Cleary, Julia Harris, Alison Whitelaw. Lorraine Brown, Sharyn Ramage, Sue Ridley, Jacqui Thomson. Reserves: Ada Stewart and Susan Addison. Clare Elms, Philippa Taylor, Sue Samme, Jane Wassell. Reserves: Anne Buckley and Caroline Wood. Ruth Magill, Una Gavin, Mabel McFall, Mary Mackin. Niamh O’Sullivan, Mary Sweeney, Sheelagh Jones, Ann Sullivan. Reserves: Marie Terese Speight and Gloria Donaghy. Emma Collins, Alecia Hamilton-Morri, Cath Wheeler, Brenda Tiedke. Sonia Armitage, Beryl Junnier, Pamela McCrossan, Fiona Matheson. Reserves: Lynne Marr and Marie McChord. Julia Armstrong, Sue Becconssaill, Jill Burke, Monica Williamson. Reserves: Sue Phillips, Heather Robinson, Maureen McCarthy. Carmell Parnell, Mary Jennings, Oauline Moran, Nuala Reilly. Reserves: Noreen Bonner and Una Reilly. Dawn Kenwright, Ann Rowell, Yvonne Williams plus one additional named person. Jan Fellowes, Phyllis Hands, Jane Waterhouse. Alison Cummings, Gail Duchworth, Caroline Home, Lyne Valentine. Reserve: Elizabeth Tomes. Mags McCrerry, Phyllis Browne, Roisin Lynch, Carol Lynch. Reserves: Eileen O’Brien, Mary Nolan Hickey. Ann James, Jacky Miles, Margaret Docking, Margaret Monk. Ann Bath, Liz Bowers, Hazel Bradley. Jane Georghiou, Lou Lynass, Zina Marchant, Janice Needham. Reserves: Rose Tabor, Jane Morley and Sue James. Evelyn McNelis, Kathleen O’Brien, Joan Coyle, Pam Benson. Reserve: Ann Woodlock. Christine Birch, Shelagh Adkins, Brenda Jones, Clare Johnson. Angela Copson, Dot Fellows, Christine Lee, Pauline Rich. Reserves: Pam Jones and Mary Holmes. On Sunday 4th November 2012, Belfast man Stephen Scullion represented Irish club Clonliffe Harriers at the Senior Cross Country Championships, in Santry Demense, Dublin. Stephen performed to his usual high standard, leading the race early on, before being overtaken by DSD’s Alan Mc Cormack (34:26) and MSB’s John Coghlan (34:47), who finished in 1st and 2nd place respectively. Stephen Scullion held on to take 3rd place, completing the ‘mud bath’ 10km course in 34:51, helping Clonliffe Harriers to 1st place in the team standings. Meanwhile, in the Donegal Cross Country Championships, Omagh Harriers’ Sara Moore finished 4th in the ladies race, running 18:52. The race was won by Teresa Mc Gloinn (Finn Valley AC) in 17:31. On Saturday 3rd November 2012, Cross Country enthusiasts from across Northern Ireland took part in the 78th Mc Connell Shield, in Six Mile Water Park, Ballyclare. The event, organised by East Antrim Harriers includes U-14 and U-16 races in the run up to the female and male events, the latter of which sees the winning team awarded the historic Mc Connell Shield. Emma Hutchinson (Ballyclare High School) and Caleb Dempsey (Ballymena & Antrim AC) kicked off proceedings with impressive displays in the U-14 (1 mile) race, with Caleb recording 5:34 and Emma 5:50. Springwell Running Club’s Luke Dinsmore (11:05) and Dromore AC’s Rebekah Nixon (12:25) won their respective categories in the U-16 race (2 miles). Both ran exceptionally well, showing that they have huge potential for the future. The spectating crowds enjoyed the Ladies and Men’s Vet60+ race (3 miles), with a group including; Jessica Craig (North Down AC), Patricia O’Hagan (St Peters AC) and Claire Connor (North Belfast Harriers) taking up a position at the head of the field from the off. As the race progressed, City of Derry AC’s Katherine Whoriskey and North Belfast Harriers’ Judi Graham both worked themselves into good positions. However, Jessica Craig’s strength showed going into the final lap as she surged ahead of Patricia O’Hagan to claim victory in 18:01, Patricia (18:07) took an excellent 2nd place, with Katherine Whoriskey (18:32) in 3rd place. North Down AC’s Terry Eakin was the first veteran male across the line in 18:38. The Men’s race proved to be an even closer battle, with Ryan Mc Dermott (Annadale Striders), Owen Carelton (Annadale Striders), Ryan Holt (Willowfield Harriers), Declan Reed (City of Derry AC), Niall Robinson (North Down AC) and Brendan Teer (East Down AC) all in contention throughout. Young Ryan Holt, possibly still feeling the effects of last week’s outstanding run in Kilbroney Park, Rostrevor began to tire and the Annadale Striders duo of Carelton and Mc Dermott took charge. As they battled, Declan Reed, Niall Robinson and Brendan Teer all closed in. When the lead group entered the final lap it was North Down AC’s Niall Robinson who moved from behind and ran clear, continuing his relentless pace to break the tape in 26:27. City Of Derry’s Declan Reed took 2nd place in 26:31, while Brendan Teer moved ahead of Ryan Mc Dermott in the final yards to claim 3rd place in 26:32. Paul Carroll (27:49) and Eoin Mullan (28:00) followed in 12th and 15th respectively, securing the Mc Connell Shield for Annadale Striders. 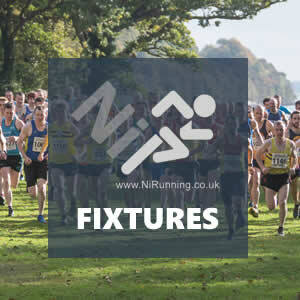 The Northern Ireland Cross Country season continues this weekend in Six Mile Park, Ballyclare as runners from across the province battle it out for the Mc Connell Shield. Now in its 78th year, the East Antrim Harriers organised Mc Connell Shield has always been a popular event amongst mud loving running enthusiasts. With the British & Irish Masters International taking place next Saturday (10th November 2012) it is expected that those veterans selected to represent Northern Ireland and Ireland will rest in preparation. However, there will still be a large turn-out, including some of the country’s top athletes. In the junior races, Conal Mc Cambridge (North Belfast Harriers), Emma Hutchinson (Ballyclare High School), Lois Hagen (Willowfield Harriers) and Rebekah Nixon (Dromore AC) will all hope to impress. While in the men’s event, Jarlath Falls (Ballymena & Antrim AC), winner of last week’s Bobby Rea XC in Kilbroney Park, Rostrevor should race and will play a prominent part at the head of the field, as will Ryan Holt (Willowfield Harriers), Alan O’Hara (North Belfast Harriers), Gareth Hill (Ballymena & Antrim AC) and Brendan Teer (East Down AC). Annadale Striders’ Ryan Mc Dermott, Paul Carroll and Simon Taylor could enter on the day, and David Morwood may start despite the important International fixture next weekend. Current NI Cross Country League leaders City of Derry AC, will again be well represented, with Emmett Mc Ginty, Cathal Logue and new boy Chirs Mc Peake likely to be amongst the front runners. If they race, Francis Marsh (North Down AC) and Deon Mc Neilly (Newcastle AC) should be in or around the top ten. Deon’s club mates David O’Flaherty and David Mc Neilly will also hope to re-produce their strong performances from last week. Gladys Ganiel O’Neill (North Belfast Harriers) and Julie Turley (Dromore AC) may sit this one out, in preparation for the British & Irish International event. This leaves the door open for North Down AC’s Jessica Craig to continue her excellent start to the Cross Country season. St Peters AC’s Patricia O’Hagan could race, and will challenge Jessica if she does. Another North Down AC runner, Rachel Gibson, who has shown good form of late will again be a challenger, as will Eva Laverty (Lagan Valley AC), Catherine Whoriskey (City of Derry AC) and Emma Mitchell (Banbridge AC). North Down AC’s Melissa Eccles, Ange Perrott and Ali Robinson should place well after impressive runs last week. Lagan Valley AC’s Shileen O’Kane will also run well and could make the top ten, but she will have to fend off challenges from Larne AC’s Geraldine Quigley and North Down AC’s Valerie Mc Donagh. Northern Ireland’s seven ‘parkrun‘ events, all of which take place EVERY Saturday morning will prove popular this weekend. Portrush parkrun welcomes Paralympian Sally Brown, while the Waterworks parkrun in Belfast celebrates its 2nd birthday, with parkrun official Tom Williams and Paralympic gold medal winner Michael Mc Killop due to attend. Please see our dedicated parkrun section within our ‘Fixtures’ page to find your nearest event! Northern Ireland will also be represented at the ‘ING New York Marathon’ on Sunday 4th November 2012, with Rick Hill (Unattached), Fergal Mc Elroy (Sperrin Harriers), Catherine Devlin (Unattached) and Lynne Mc Fettridge all due to participate. Want to run with an Olympian? Here’s your chance! On Saturday 3rd November 2012, Portrush parkrun will be hosting Paralympic 100m finalist and local girl Sally Brown as well as the Mayor of Coleraine. Portrush parkrun is a FREE, weekly, timed, 5km run (walk). The popular event, run by volunteers takes place every Saturday morning at 09.30am, at the Watersports Centre, Portrush. The course takes the runners/walkers from the Watersports Centre out to the White Rocks and back. It is open to the hardest of veteran runners, wanting to test their fitness to the person that just needs that extra push to get them started. All you have to do is register at the official parkrun website: www.parkrun.org.uk/register were you will then be given a barcode, bring this to any parkrun in the world and you will be able to run/walk in the event. There are seven parkruns in Northern Ireland and almost 200 in the world, Portrush is the ONLY parkrun on the beach. So come along and test yourself, see if you can beat an Olympian, or like many before you, use this friendly and informal event to kick-start a new healthy lifestyle. On the very same day the Waterworks parkrun in Belfast will be celebrating their 2nd birthday, parkrun official and ‘Marathon Talk’ presenter Tom Williams and Paralympic gold medal winner Michael Mc Killop are set to attend, so big crowds are expected there as well. Men Vet35 – Ciaran Doherty (Letterkenny AC), Men Vet50 – Tommy Hughes (North Belfast Harriers), Men Vet65 – Christy Mc Monagle (City of Derry). Ladies Vet35 – Julie Turley (Dromore AC), Ladies Vet45 – Geraldine Branagh (Dromore AC), Ladies Vet60 – Roisin Lynch (City of Derry). The event is due to take place at the revised location; Queen’s Playing Fields, DUB Lane, Upper Malone, Belfast on Saturday 10th November 2012. Racing starts at 11am.